Bridge Cottage01825 763754work Historic HouseMediaeval timber framed Wealden building, built in 1436. It was an important part of the history of Uckfield & retains many original features and high quality timber work. Normally open to the public on Saturdays. Owned by Uckfield Town Council and managed by Uckfield and District Preservation Society. Open on Saturdays whenever possible. Please ring first. Thu 9 May Do You Remember? Thu 13 Jun Do You Remember? Thu 11 Jul Do You Remember? Thu 8 Aug Do You Remember? Thu 12 Sep Do You Remember? Thu 10 Oct Do You Remember? 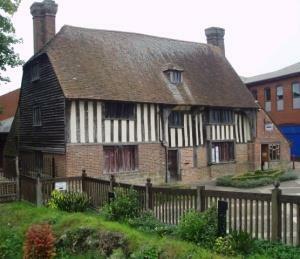 Mediaeval timber framed Wealden building, built in 1436. It was an important part of the history of Uckfield & retains many original features and high quality timber work. Normally open to the public on Saturdays. Owned by Uckfield Town Council and managed by Uckfield and District Preservation Society. Very close to Uckfield Railway Station.